Subhashni is a member of the Science Education team in the School of Education. Subhashni's research interests are in the area of climate change impacts on biodiversity and invasive plant species, with a specific focus on small island states. Her PhD research investigated remote sensing and modelling techniques that contribute to better mapping and projected modelling of lantana, a weed of global significance, in an era of climate change. Her current research involves the application of spatial technologies and species distribution modelling in investigating the impacts of climate change and weeds on endemic biodiversity in small island countries of the South Pacific Region. 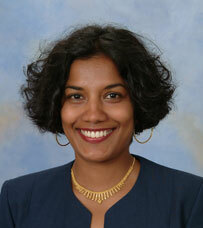 She is also a trained secondary science teacher and has taught in Fiji, UK and Australia. Elliott, S., Taylor, S., Rizk, N., Kennelly, J. and McKenzie, M. (2018). ‘When are we going again?’ Investigating children’s responses to a new nature playspace at an Environmental Education Centre. Curriculum Perspectives, vol. 38 (2), pp. 157-162. Taylor, S., Rizk, N., Quinn, F., Coll, R.K., McClune, W., and Taylor N. (2018). Subjective decision-making in healthcare: The case of vaccinations. International Journal of Innovation in Science and Mathematics Education, vol.26 (5), pp. 1-19. Whannell, R., Quinn, F., Taylor, S. Harris, K., Cornish, S. and Sharma, M. (2018). Open-ended science inquiry in lower secondary school — Are students’ learning needs being met? Teaching Science, vol. 64 (1), pp. 35-43. Ambusaidi, A., Al-Yahyai, R., Taylor, N. and Taylor, S. (2018). Introducing school gardens to the Omani context: A preliminary study with Grade 7 classes. Eurasia Journal of Mathematics, Science and Technology Education, vol. 14 (3), pp. 1043-1055. Taylor, N., Taylor, S., Rizk, N. & Cooper, G. (2017). Suggestions for teaching floating, sinking and density. Teaching Science, vol. 63 (4), pp. 10-15. Taylor, N., Taylor, S. and Littledyke, M. (2017) Exploring insulation with ice hands. Teaching Science, vol. 63 (2), pp. 10-15. Taylor, S. (2017) Impacts of climatic and oceanic processes on the threatened terrestrial vertebrates of the Pacific region. GeoResJ, vol. 13, pp. 1-8. Taylor, N., Hansford, D., Rizk, N. and Taylor, S. (2017) Links in the chain: bringing together literacy and science. Primary Science, vol. 146, pp. 5-7. Taylor, S., and Kumar, L. (2016) Global Climate Change Impacts on Pacific Islands Terrestrial Biodiversity: a review. Tropical Conservation Science, vol. 9 (1), pp. 203-223. Aljaryian, R., Kumar, L. and Taylor, S. (2016) Modelling the current and potential future distributions of the sunn pest Eurygaster integriceps (Hemiptera: Scutelleridae) using CLIMEX. Pest Management Science. vol. 72, pp. 1989-2000. doi 10.1002/ps.4247. Taylor, S., and Kumar, L. (2016) Will climate change impact the potential distribution of a native vine (Merremia peltata) which is behaving invasively in the pacific region? Ecology and Evolution. vol. 6 (3), pp. 742-754. doi: 10.1002/ece3.1915. Ramirez-Cabral, N. Y. Z., Kumar, L., and Taylor, S. (2016) Crop niche modeling projects major shifts in common bean growing areas. Agricultural and Forest Meteorology, vol. 218-219, pp. 102-113. doi:10.1016/j.agrformet.2015.12.002. Paterson, R. R. M., Kumar, L., Taylor, S., and Lima N. (2015) Future climate effects on suitability for growth of oil palms in Malaysia and Indonesia. Scientific Reports 5: 14457 doi: 10.1038/srep14457. Kumar, L., and Taylor, S. (2015) Exposure of coastal built-infrastructure assets in the South Pacific to climate risks. Nature Climate Change, vol. 5, no. 11, pp. 992-996. doi: 10.1038/NCLIMATE2702. Kumar, L., Sinha, P., Taylor, S., and Alqurashi, A. (2015) Use of Remote Sensing for biomass estimation to support renewable energy generation. Journal of Applied Remote Sensing vol. 9 (1), 097696-1-097696-28. doi: 10.1117/1.JRS.9.097696. Kumar, L., Khormi, H. M., Leis K., and Taylor, S. (2015) Ecological research in Australia: Identifying links versus gaps between hotspots of ecological research and biodiversity. Austral Ecology, vol. 40, no. 5, pp. 581-590. doi:10.1111/aec.12225. Shabani, F., Kumar, L., and Taylor, S. (2015) Distribution of date palms in the Middle East based on future climate scenarios. Experimental Agriculture, vol. 51, no. 2, pp. 244-263 doi:10.1017/S001447971400026X. Taylor, S., and Kumar, L. (2014) Impacts of climate change on invasive Lantana camara L. distribution in South Africa. African Journal of Environmental Science and Technology, vol. 8, no. 6, pp. 391-400. doi: 10.5897/AJEST2014.1705. Kumar, L., Sinha, P., and Taylor, S. (2014) Improving image classification in a complex wetland ecosystem through image fusion techniques. Journal of Applied Remote Sensing, vol. 8. doi: 10.1117/1.JRS.8.083616. Shabani, F., Kumar, L., and Taylor, S. (2014) Projecting date palm distribution in Iran under climate change using topography, physicochemical soil properties, soil taxonomy, land use and climate data. Theoretical and Applied Climatology, vol. 115, nos. 1-2. doi: 10.1007/s00704-013-1064-0. Drielsma, M., Ferrier, S., Howling, G., Manion, G., Taylor, S., and Love, J. (2014) The Biodiversity Forecasting Tool: Answering the ‘how much’, ‘what’, and ‘where’ of planning for biodiversity persistence. Ecological Modelling, vol. 274, pp. 80-91. Shabani, F., Kumar, L., and Taylor, S. (2014)Suitable regions for date palm cultivation in Iran are predicted to increase substantially under future climate scenarios. Journal of Agricultural Science, vol. 152, pp. 543-557. doi:10.1017/S0021859613000816. Taylor, S., and Kumar, L. (2013) Climate Change and Weed Impacts on Small Island Ecosystems: Lantana camara L. (Magnoliopsida: Verbenaceae) Distribution in Fiji. Pacific Science, vol. 68, no. 1, pp. 117-133. Taylor, S., and Kumar, L. (2013) Potential distribution of an invasive species under climate change scenarios using CLIMEX and Soil Drainage: A case study of Lantana camara L. in Queensland, Australia. Journal of Environmental Management, vol. 114, pp. 414-422. Shabani, F., Kumar, L., and Taylor, S. (2012) Climate change impacts on the future distribution of Date Palms: A modeling exercise using CLIMEX. PLoS ONE, vol. 7, no. 10: e48021. doi:10.1371/journal.pone.0048021. Taylor, S., Kumar, L., Reid, N., and Lewis, C. R. G. (2012) Optimal band selection from hyperspectral data for Lantana camara discrimination. International Journal of Remote Sensing, vol. 33, no. 17, pp. 5418-5437. Taylor, S., Kumar, L., Reid, N., and Kriticos, D.J. (2012). Climate Change and the potential distribution of an invasive shrub, Lantana camara L. PLoS ONE, vol. 7, no. 4: e35565. doi:10.1371/journal.pone.0035565. Taylor, S., Kumar, L., and Reid, N. (2012). Impacts of climate change and land-use on the potential distribution of a weed: A case study of Lantana camara L. in Australia. Weed Research,vol. 52, no. 5, pp. 391-401. Taylor, S., and Kumar, L. (2012) Sensitivity analysis of CLIMEX parameters in modelling potential distribution ofLantana camara L. PLoS ONE, vol. 7, no. 7: e40969. doi:10.1371/journal.pone.0040969. Taylor, S., and Kumar, L. (2012) Climate change and invasive weeds – Modelling distribution of Lantana camara L. GSTF Journal of Engineering Technology, vol. 1, no. 1, pp. 56-60. Taylor, S., Kumar, L. and Reid, N. (2011) Accuracy comparison of Quickbird, Landsat TM and SPOT 5 Imagery for Lantana camara mapping. Journal of Spatial Science,vol. 56, no. 2, pp. 241-252. Taylor, S., Kumar, L. and Reid, N. (2010) Mapping Lantana camara: Accuracy Comparison of Various Fusion Techniques. Photogrammetric Engineering and Remote Sensing, vol. 76, no. 6, pp. 691-700. Taylor, N., and Nathan, S. (2005). Education for sustainability in New South Wales, Australia. Development Education Journal, 12(1),34-35. Coll, R., Taylor, N., and Nathan, S. (2003). Using work-based learning to develop education for sustainability: A proposal. Journal of Vocational Education and Training, 55, 169-181. Nathan, S., and Taylor, N. (2003). Linking cooperative education and education for sustainability: A new direction for cooperative education? Asia-Pacific Journal of Cooperative Education, 4(2), 1-6. Taylor, N., and Nathan, S. (2003). Education for Sustainability: Its evolution, principles and the role of school structures in its implementation. Education Today, 53(2), 10-18. Taylor, N., and Nathan, S. (2003). Some issues facing environmental organizations in developing countries: A case study of the South Pacific Action Committee for Human Ecology and the Environment. Australia Journal of Environmental Education, 19, 69-79. Taylor, N., and Nathan, S. (2003). Teaching about globalization and consumerism within the context of Education for Sustainability. Teaching and Learning, 24(2), 153-167. Taylor, N., Nathan, S., and Coll, R. (2003). Education for Sustainability in regional New South Wales, Australia: An exploratory study of some teachers’ perceptions. International Research in Geographical and Environmental Education, 12(4), 289-309. Taylor, N., Nathan, S., and Coll, R. (2003). An analysis of the new “Citizenship education: the global dimension” teaching resource: How effectively does it address the interaction between local and global issues? Education Today, 53(1), 12-20. Taylor, N., and Nathan, S (2002). How science contributes to environmental reporting in British newspapers: A case study of the reporting of global warming and climate change. The Environmentalist, 22(4),321-327. Nathan, S., and Taylor, N. (2001). Education for Sustainability: An appropriate concept for Pacific Island Schools? Pacific Curriculum Network, 10(2), 3-7. Taylor, N., and Nathan, S. (2001). Modelling a chain reaction in the classroom. Secondary Science Review, 83(302), 102-103. Lowery, R., Taylor, N., and Nathan, S. (2000). Some techniques for teaching about the structure and function of chromosomes. Australian Science Teachers' Journal, 46 (1), 47-53. Nathan, S. (1998). An evaluation of the new Basic Science materials for years 7 and 8 in Fiji’s schools. Pacific Curriculum Network, 7(1), 8-9. Taylor, N., Macpherson, C. R., and Nathan S. (1998). Ideas in conflict–learning about evolution in Fiji. Pacific-Asian Education Journal, 10(2),32-43. Tyagi, A., Dass, C., Nathan, S., Racule, T., and Lakhan, S. (1994). Pollen fertility status in some flowering plant species of Fiji. South Pacific Journal of Natural Science, 14, 211-222. Taylor, S. & Kumar, L. (2013). Climate Change and Weed Invasions. In Proceedings of the 12th Pacific Science Inter-Congress. University of the South Pacific, Suva, Fiji. 8-12 July. Kumar, L., Leis, K. & Taylor, S. (2013). Weed Invasions and Biodiversity Hotspots. In Proceedings of the 12th Pacific Science Inter-Congress. University of the South Pacific, Suva, Fiji. 8-12 July. Taylor, S.,Kumar, L. & Reid, N. (2012). The impact of climate change on the potential distribution of an invasive species, Lantana camara L. In Proceedings of the Global Science and Technology Forum Annual International Conference on Sustainable Energy and Environmental Sciences. Singapore. 13-14 February. Taylor, S., Kumar, L., Reid, N. & Kriticos, D.J. (2011). The Potential Distribution of Lantana camara L. in Relation to Climate Change. In Proceedings of the Rural Climate Change Solutions Symposium. University of New England, Armidale, New South Wales, Australia. 3-4 May. Taylor, S.,Kumar, L. & Reid, N. (2011). Comparison of Broadband and Hyperspectral Sensors for Lantana Mapping. In Proceedings of the 34th International Symposium on Remote Sensing of Environment. Sydney, Australia. 10-15 April. Taylor, S.,Kumar, L. & Reid, N. (2009). Use of Remote Sensing Techniques in Lantana Mapping. In Proceedings of the 10th South East Asian Survey Congress. Bali, Indonesia. 4-7 August. Taylor, N., Nathan, S., & Coll, R.K. (2003). Examining the potential role of cooperative education in education for sustainability. In C. Gribble (Ed. ), Proceedings of the Seventh Annual New Zealand Conference on Cooperative Education (pp. 84-92). Christchurch, New Zealand. Drielsma, M., Love, J., Manion, G., Taylor, S. & Harris, S. (2012). Framework for terrestrial biodiversity MER – year 1 summary report. Office of Environment and Heritage and University of New England, Armidale, New South Wales. Drielsma, M., Love, J., Manion, G. & Taylor, S. (2012). Draft framework for terrestrial biodiversity MER – year 1 technical report. Office of Environment and Heritage and University of New England, Armidale, New South Wales.